If you’re family are looking for an eggcelllent Egg hunt this Easter weekend in London, then bounce your way to the Jubilee Market Covent Garden. 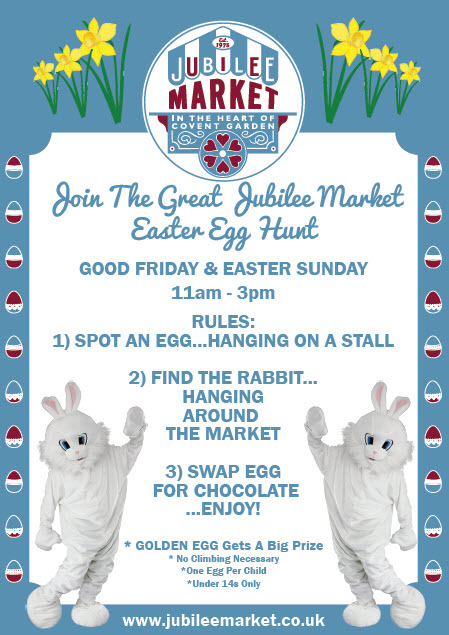 The Eggtastic Easter Egg Hunt at Jubilee Market Covent Garden is taking place on Good Friday and Easter Sunday at the Market. The Easter Bunny is busy plotting his treasure Egg hunt as we speak. Children can have fun, hunting for the eggs hidden amongst the stalls at the Jubilee Market Covent Garden. Successful hunters can then track down the Easter Bunny to exchange their egg for a chocolate surprise! The Easter Egg Hunt at Jubilee Market Covent Garden is free to enter (under 14’s only) and there are plenty of edible treats to go around. 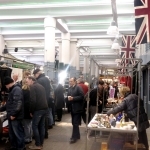 Whilst the children enjoy the egg hunt, the adults can enjoy some fine market shopping at the Jubilee Market Covent Garden. On Friday March 25, visitors can peruse the traditional British market for fun souvenirs, trinkets fashion and gifts. 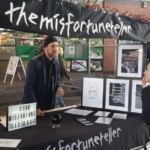 On Easter Sunday, March 27, their popular Arts & Crafts Market will an array of creative traders and stalls selling handmade gifts, art, fashion, homeware and accessories. On both days the Egg-stravaganza will take place between 11am-3pm. On each day their is one golden egg to be found which promises to be a big prize winner. In the heart of Covent Garden the Jubilee Market is a great place for families to indulge in the Easter Weekend. 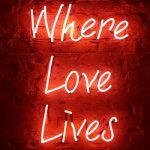 It can be found in the historic setting of Covent Garden Piazza where in addition to the market their are many boutique and flagship British shops, eateries and the fabulous British Transport Museum just next door. The Jubilee Market Covent Garden is a 7 days per week British Market destination. Visit Tues-Fri 10:30am-7pm, 10am-6pm Saturdays & Sundays and on Mondays for their popular antiques market between 5am-5pm.